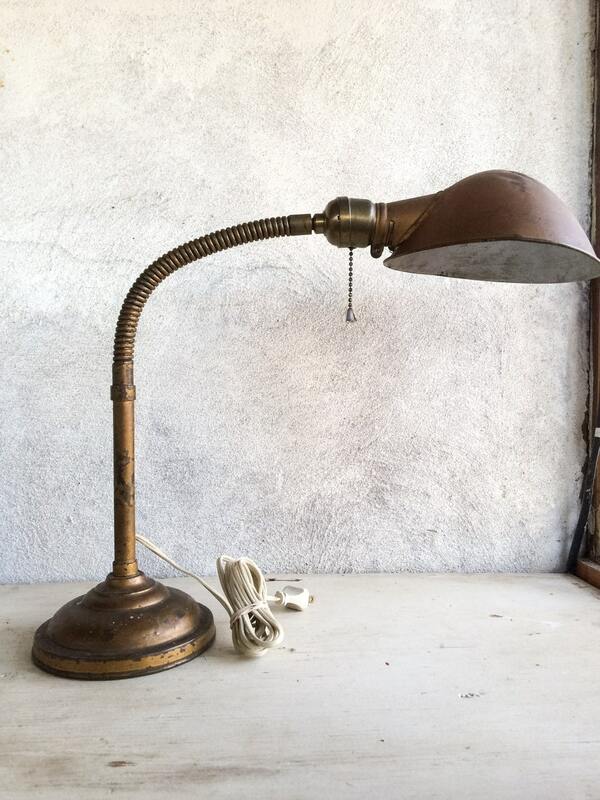 Here we have a vintage industrial lamp with a bronze or brass cover over a cast iron base, and bronze or brass gooseneck arm, socket, and shade. The base is stamped with letters/numbers, and the socket section has the name Bryant. 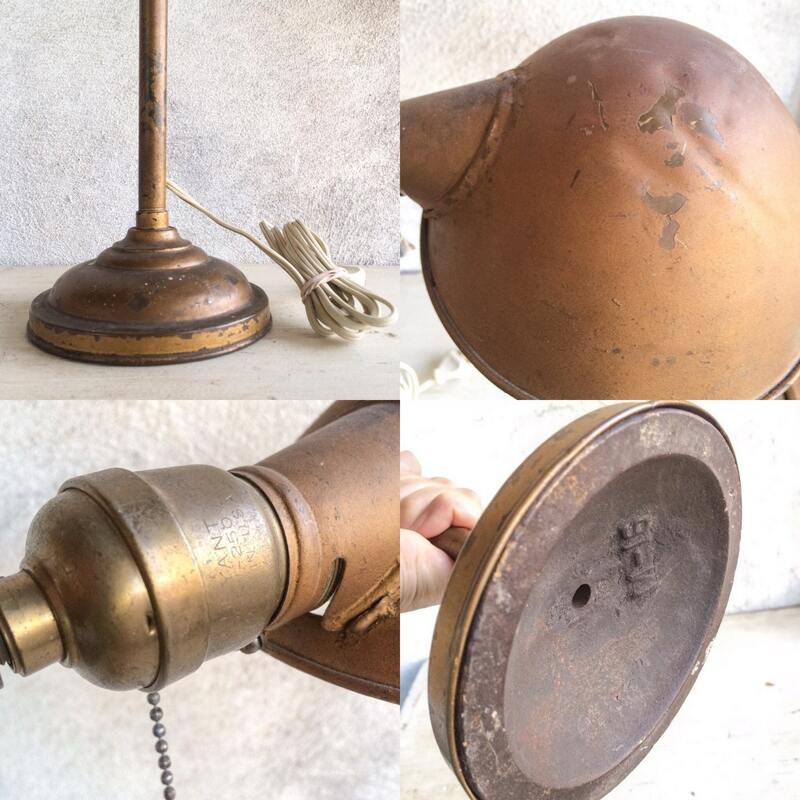 The lamp turns on and off with a pull-chain, which I am not certain is original. 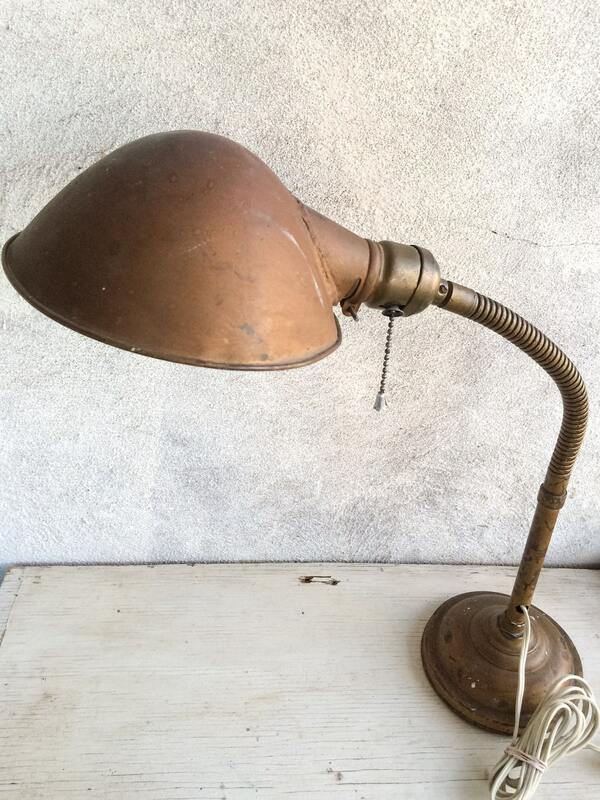 The base diameter is about 5-1/2" and the shade measures about 6-1/2" across. 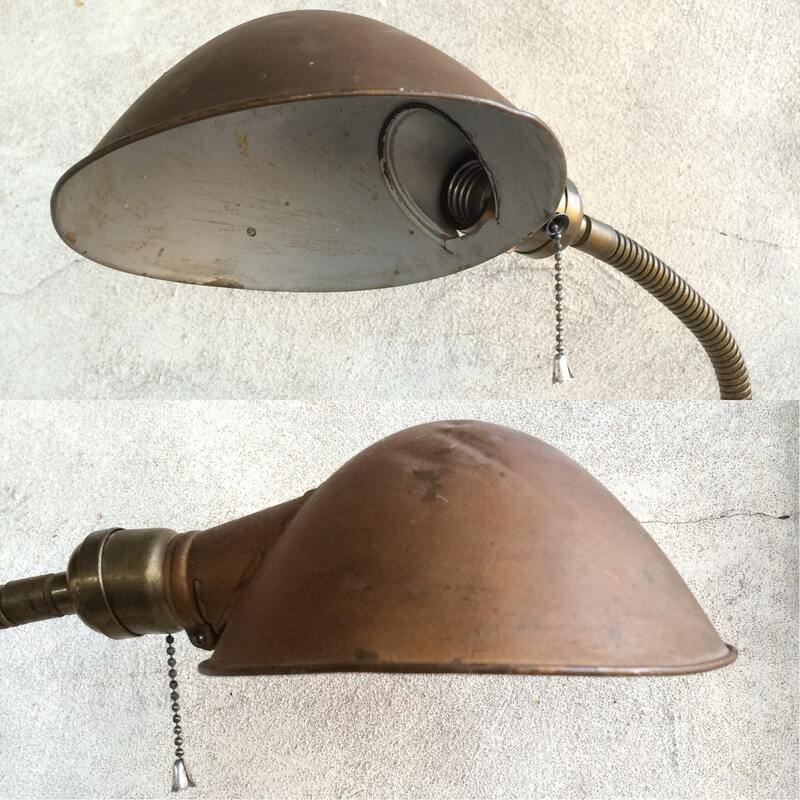 The shade has dulled a beautiful patina, and although several spots of paint have peeled or flaked off and the metal has a few dents and dings, it still carries a truly handsome profile. 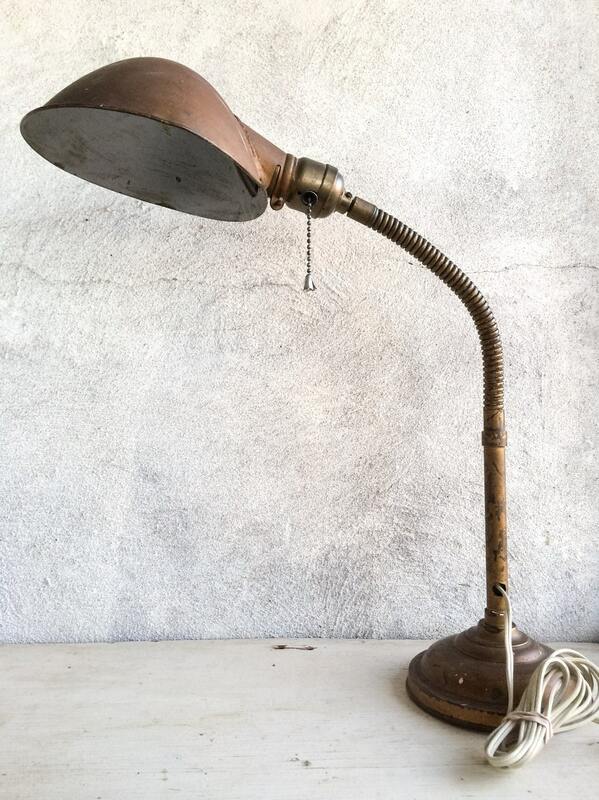 I believe the cord is original; the lamp does work. Because we need beauty when we're hard at work. Just as described. And, great packing job too!